Founded in the late 1800s, Fullerton underwent an economic boom in the early 1900s with the discovery of oil. Always a major producer of oranges and walnuts, Fullerton became a major industrial center of Southern California, attracting moguls such as the late Howard Hughes. Fullerton remains a major Orange County city today and a popular place to live among lawyers from nearby cities, including Anaheim lawyers. Fullerton lawyers can assist you with any legal issue you may be facing, including criminal defense, personal injury litigation, wills and trusts, family law, and many others. Fullerton attorneys were on both sides of a lawsuit against California State University of Fullerton in 2003. The University was sued for allegedly discriminating against Hispanic faculty. The attorneys for the plaintiffs were able to secure a $200,000 settlement from the defendants. Attorneys in Fullerton are familiar with the Orange County Superior Court system. 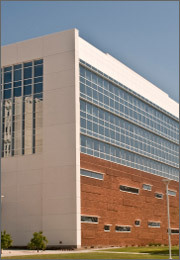 The Superior Court is the State’s integrated trial court. Orange County Superior courts hear both criminal and civil cases. Various Superior Courts have different rules and procedures, and local Fullerton lawyers will be familiar with these guidelines, as well as court staff, judges, and other attorneys. If you are looking for a rigorously pre-screened Fullerton lawyer, LegalMatch can help. Our free service can match you to a local, experienced Fullerton attorney that specializes in your type of case. Visit our website for more information on how to find the right lawyer for you, or to learn more about popular legal topics.